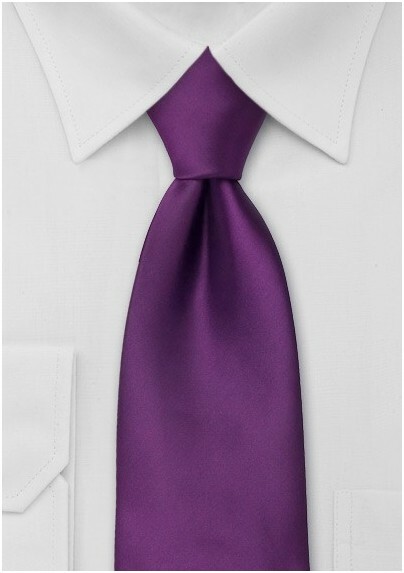 Liven up your seasonal look with a heavy dose of jewel toned inspired accessories like this solid-toned plum purple tie. The luxe color packs a pretty punch and coordinates with a multitude of ensembles to create a polished and trend-friendly look. This tie comes to life when worn with a patterned dress shirt and a slim cut midnight blue suit. 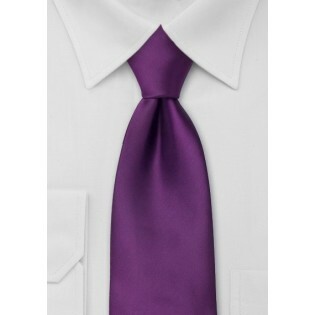 If you feel like experimenting with new and unorthodox color combos, this plum purple tie is the accessory for you. Constructed from a premium microfiber that is resistant to stains and wrinkles.